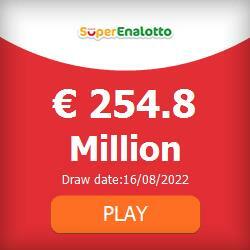 So, here are, excitingly our first post in our new shiny news section on Free National Lotto! The first thing we wanted to talk about was how to add FNL as a site to your favourites on your mobile phone, which we will go through step by step below. There will also be an app soon but in the meantime, to make it easy to check whether you are a winner each day, here’s how to do it. So, the first thing to do is to go directly to the FNL homepage, whether that’s simply typing ‘freenationallotto.com’ in as the URL, or searching for it in Google. Step 2 in the process is to add the page to your favourites. You do this by clicking on the little icon in the middle at the bottom of the screen, the icon that is a box with an arrow pointing up. This brings up the screen below where you will see the ‘Add to Favourites’ star icon. When you have clicked on the ‘Add to Favourites’ Icon above you will be presented with the screen below which gives you the option to change what you want the FNL favourite to be called, we recommend either ‘FNL’ or ‘Free National Lotto’ to make it obvious although our logo will also be displayed in your favourites when it’s saved. Once you have completed saving FNL as a favourite on your mobile phone, and you have successfully registered an account with us, every time you click on the FNL favourite in your browser you will be taken straight to your logged in homepage which you can see below. When you are on the homepage you simply need to scroll down to the page a bit and you will see the results of each of the draws and if you’re a lucky winner then click on the button to claim your prize.